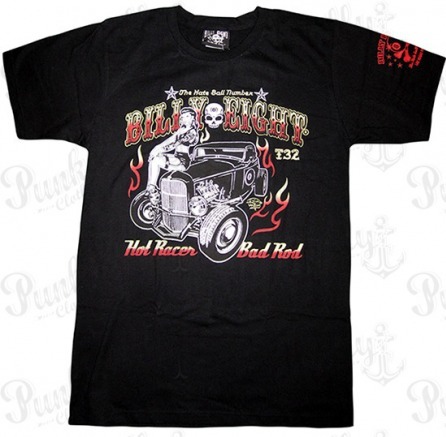 An old timer car in flames is even hotter when a pin up lady sits on it. 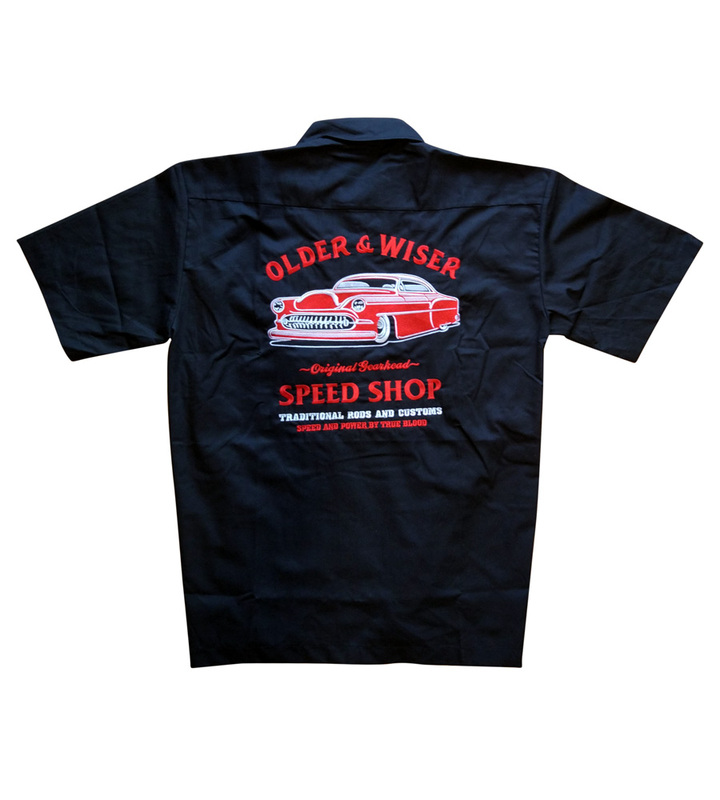 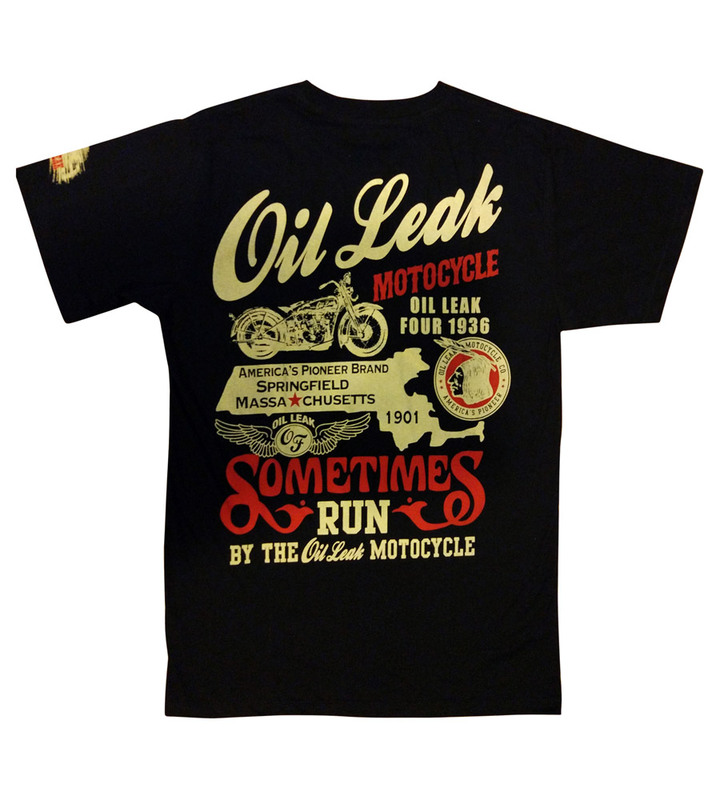 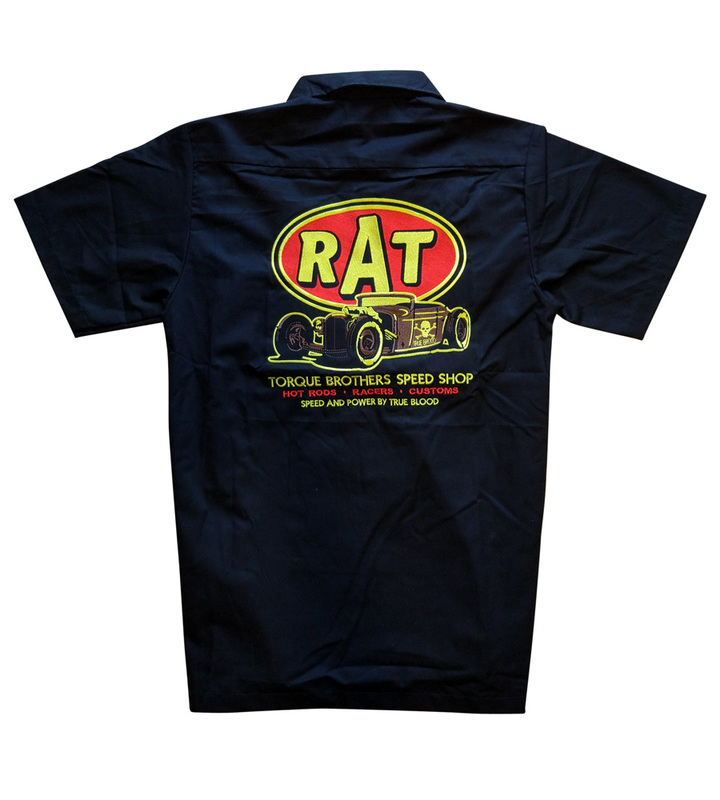 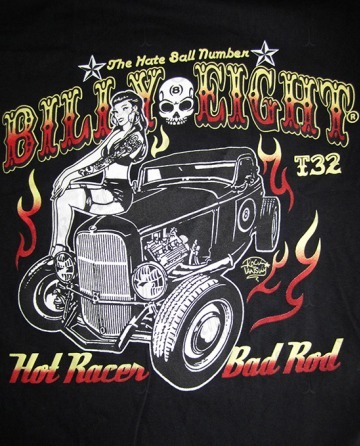 That's what this black T-shirt offers above the sign "Bad Racer Hot Rod". 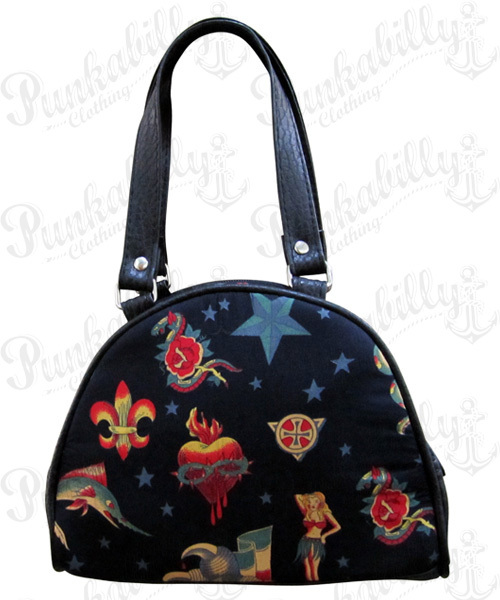 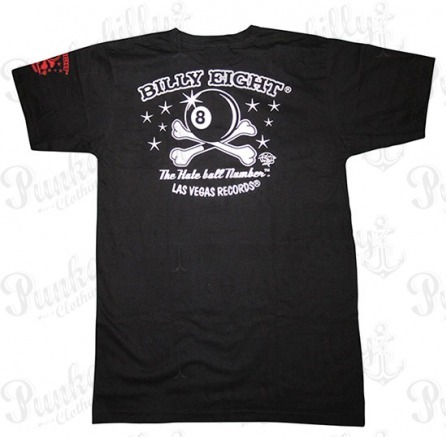 This rockabilly model also has a large print of Billy Eight logo on its back side.